$29.95 each List: $50.00, You Save: $20.05! 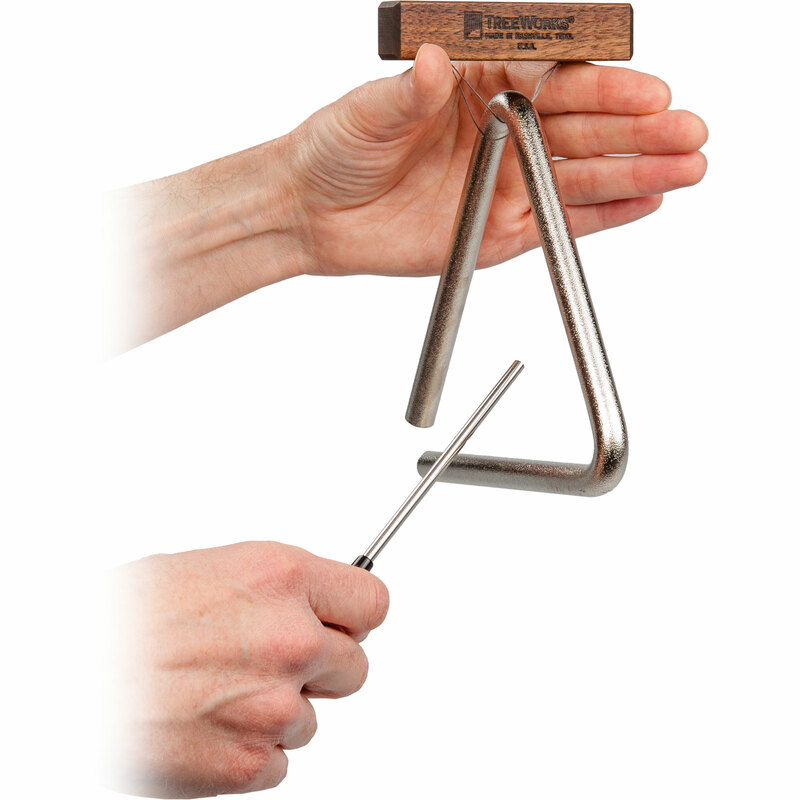 The TreeWorks 6" Triangle is made from a single 1/2" tube of high-carbon steel that produces a clear, icy 'ting', aided by a small choir of other high-pitched overtones. This medium-sized triangle is a great go-to model. The steel has been coated in a thin satin chrome finish to maximize response and sustain. The resulting sound is versatile for concert or pop usage, with a wide dynamic range. These triangles are all bent and tested by hand by one of the TreeWorks testers in Nashville, TN. 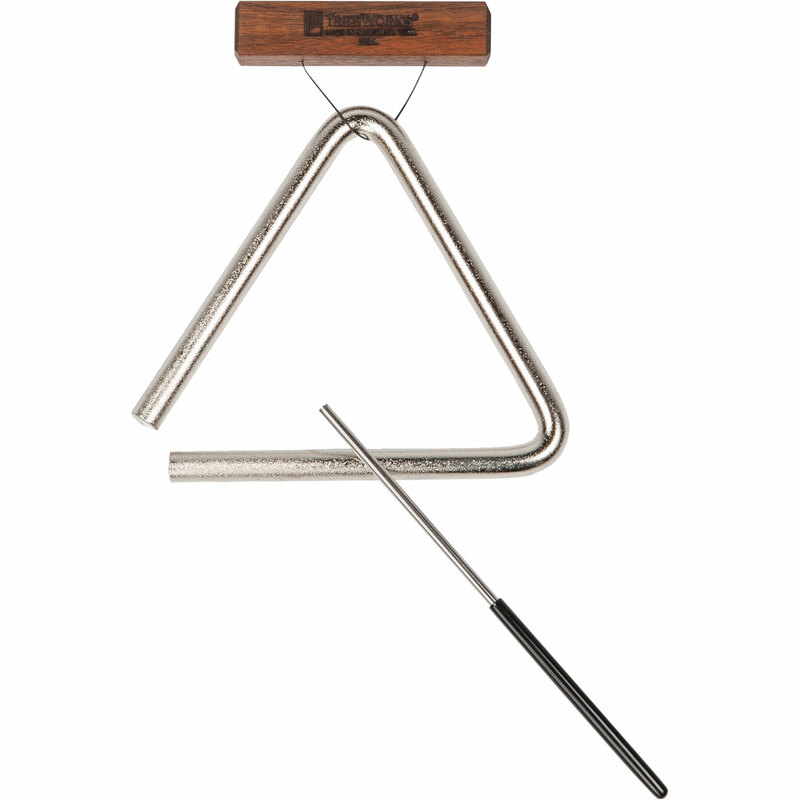 A professional stainless steel beater and small wooden triangle holder are included.